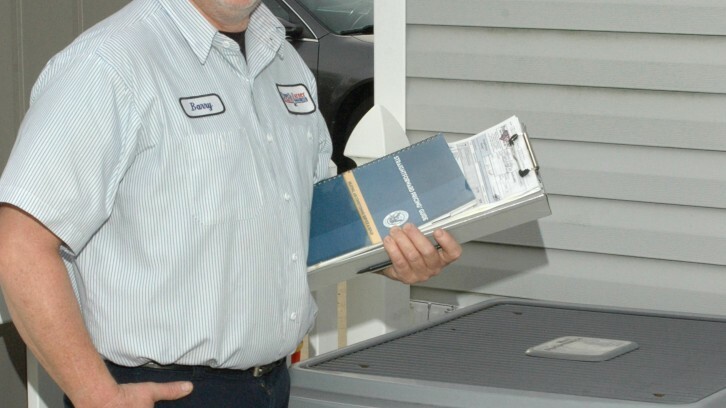 A new furnace or AC unit is a large investment. Even if you are great at saving and have some money put away for just such unexpected purchases, you may still want to check into a company’s financing or payment plans. Most companies have no interest offers or deferred payments and interest for 1-3 years. That means you can keep your nest egg with no interest or penalty while you have time to build your savings back up. A company is only as good as its guarantees. Mistakes can happen to anyone; even the best manufacturers and contractors, so make sure you’ll be covered if there is a defective part or a problem with the installation. Good contractors understand this, and back up their equipment and labor in writing to protect their customers for the occasional hiccup. To err is human, but to guarantee your work is divine. What Is Your Installation Timetable and Turnaround? Choosing a contractor and system replacement can feel like a big job. It may be easy to forget what comes after choosing your contractor—the installation. Don’t forget to ask how soon they are available to install your equipment, how long the installation is expected to take, and what happens if the installation takes longer than anticipated. Any company’s representative should be knowledgeable about the current manufacturer and government tax credits available. Sometimes, you can get a more expensive or efficient model than you originally budgeted for because of the tax incentive that comes with it. What Regular Maintenance Should I Be Doing? Before you sign off on the installation paperwork, have your technician walk you around your system. You will want to know how often filter replacement is recommended, where your filter is located on your system, how your thermostat functions, and any other specifics for your new system. What Is Required to Keep My Warranties Valid? You may have chosen your equipment for its excellent warranties, so make sure you understand what the manufacturer requires to keep those warranties valid. Most manufacturers require yearly maintenance from a licensed HVAC contractor to keep their warranties valid. Be sure to ask if your contractor offers a maintenance plan with their installation or how much it will cost for the yearly maintenance. What Is Included on the Quote? Don’t take their word for it. Make sure their quote includes the equipment models and specs like the brand name, energy efficiency, SEER rating as well as any labor fees, additional parts, and hauling or clean up fees. And it’s always a great idea to get warranty information and guarantees in writing too. What About the Load Calculation? The reason most contractors will not do an over-the-phone quote is because of the load calculation. Good contractors know you can’t always get an accurate load calculation from your old system. A lot of your system’s performance will depend on the load being calculated correctly. Bigger is not necessarily better when it comes to heating and cooling systems. A too large system will not only cost you more up front unnecessarily, but can be noisy and less effective. An incorrectly sized unit can cause your home to be too moist or too dry, or create large utility bills and hot and cold spots in your home. Because the load calculation is so important, we recommend getting at least 3 quotes. If one company comes up with a different load calculation, it may be worth a conversation. They should be able to explain their process with you. Are you looking for a air conditioner or furnace installation in the Baltimore/Annapolis MD area? Drop us a line to schedule your FREE estimate!